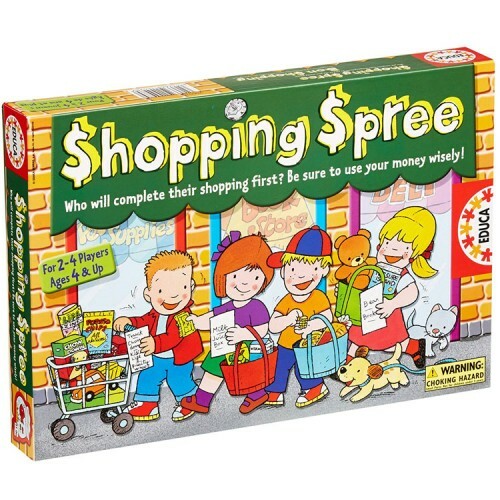 Educa Shopping Spree learning game introduces money concepts to the young players. 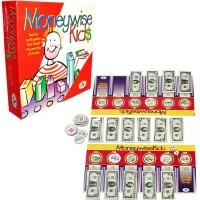 Learn to spend money wisely and play fun math game with your family and friends. 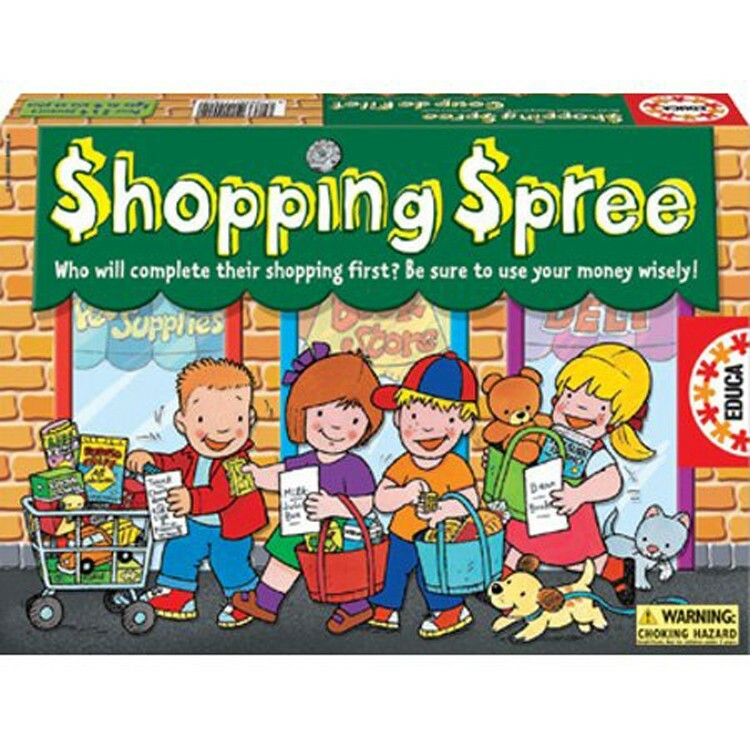 Shopping Spree Kids Money Game is designed by Educa for 2-4 young players to teach the youngest kids financial literacy. 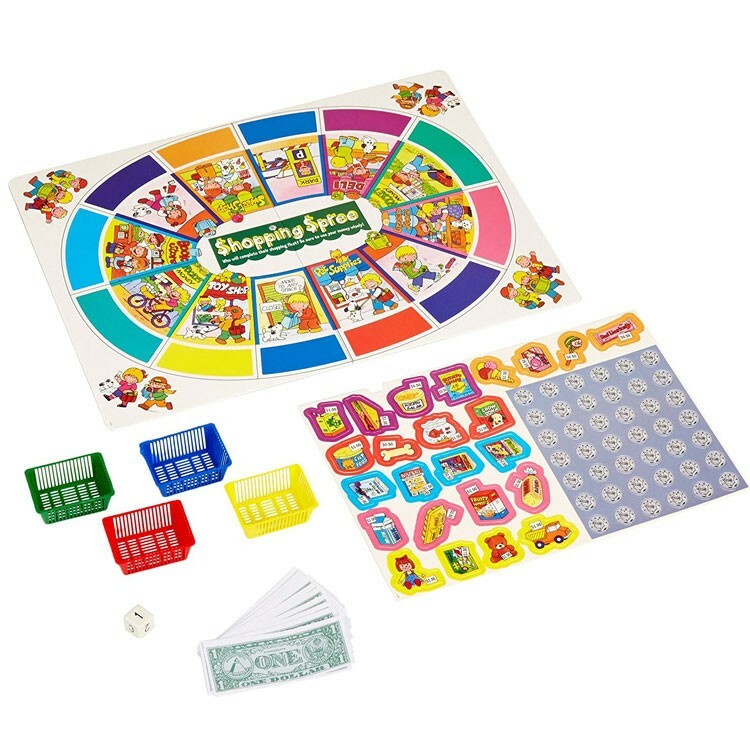 Every player gets the play money to buy the things on their shopping list. 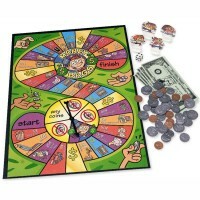 At their turn, players roll a die and move their shopping basket play piece to either direction on the circular path on the board. 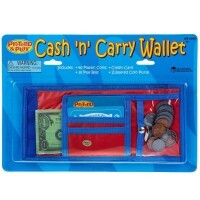 If you stop on a store place, you have to 'buy' goodies there. 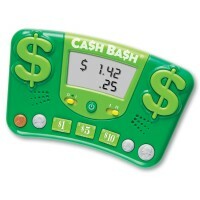 If they spend all their money, they have to earn more. 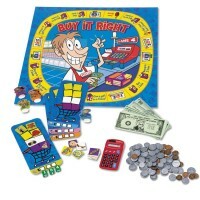 The player who completes his shopping list first, wins this educational board game! 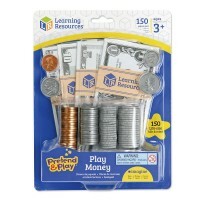 This money skills teaching game from Educational Toys Planet features 3 levels of difficulty that kids can learn to play as they grow. 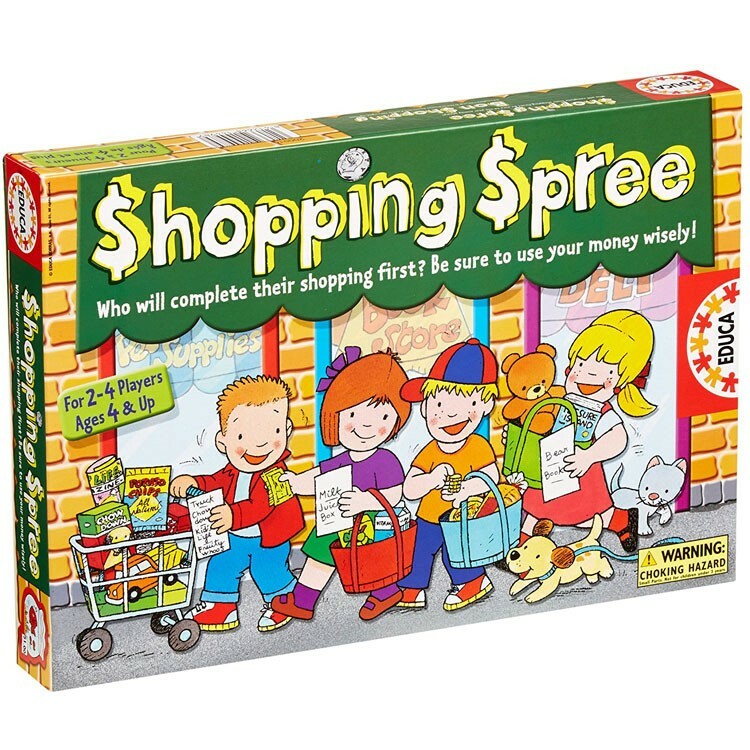 The Shopping Spree Kids Money Game is a great way to introduces children to the life concepts of money earning, spending, and financial planning. 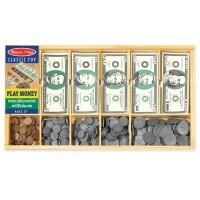 Ready for some play shopping spree? 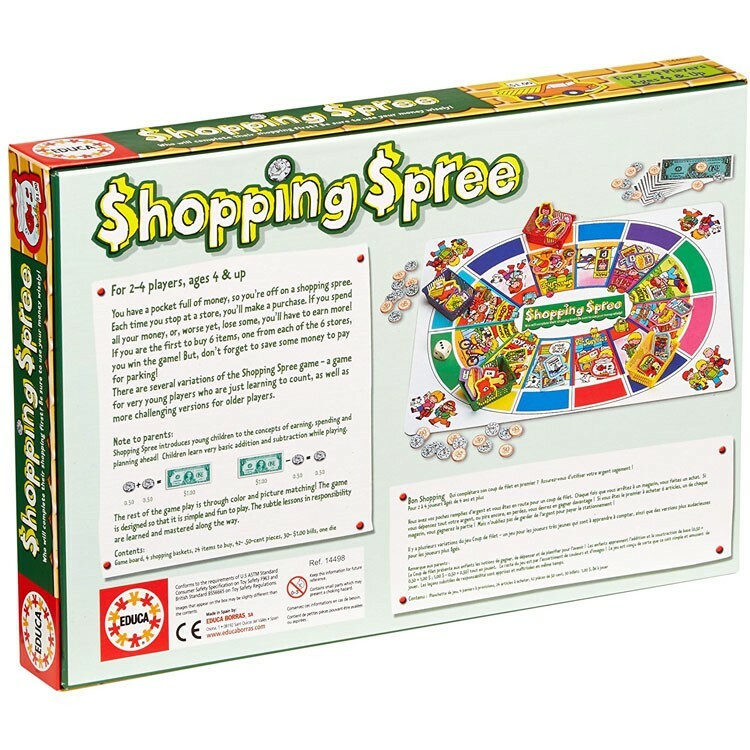 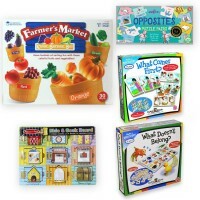 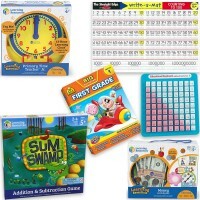 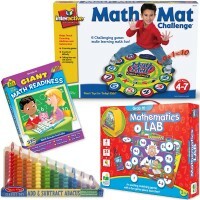 Dimensions of package 9" x 13.25" x 2.25"
Write your own review of Shopping Spree Kids Money Game.